On Windows based machines, whenever a dialogue box pops up with multiple choice options (ie 'Abort', 'Continue', 'Retry'), you can use the 'Tab' key to cycle through those options without using the mouse. 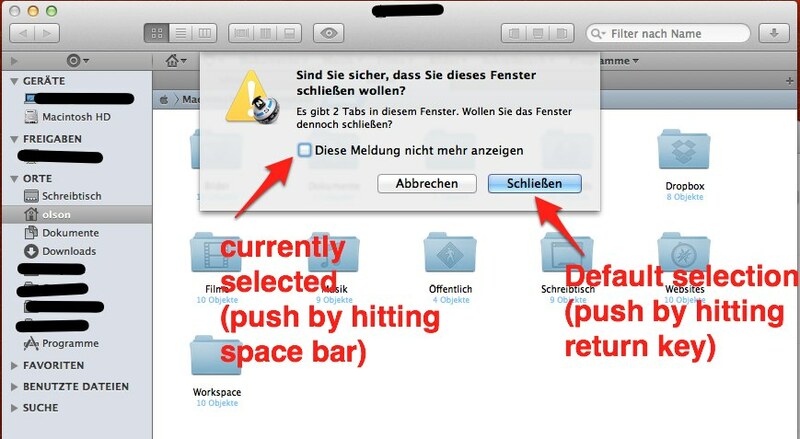 On OSX, there doesn't appear to be an option to cycle through dialogue boxes using a key rather than the Trackpad. Is there any keyboard shortcut to do this? It is also the tab key. The difference to Windows is, that the "return" key always pushes the default button (which is the colored one). The currently selected button (which can be changed using the tab key) is marked through a colored border. If you'd like to push this button, you have to press the space bar. You can cycle the dialog boxes. Also note that by default esc will choose cancel. Press Space to choose the selected button (which has a blue border around it). Press Enter to choose the default button (the blue coloured button). 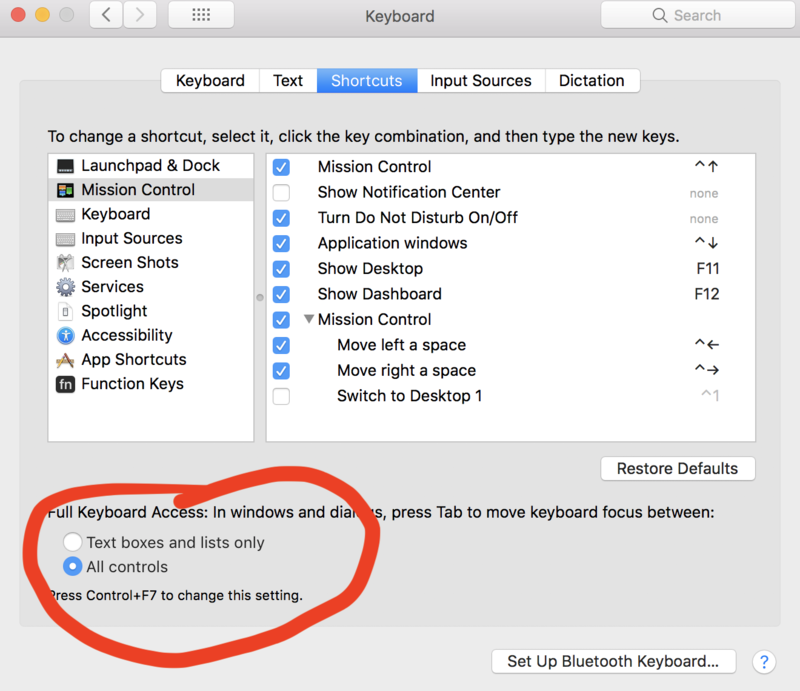 You can press Control+F7 (or fn+Control+F7 depending on your keyboard preferences regarding default function keys) to turn this option on/off on the fly. how to navigate system dialogue boxes never touching the mouse?